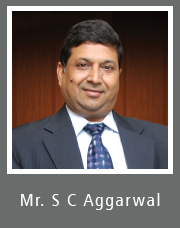 Mr. Aggarwal is a promoter of the SMC Group. He has rich and extensive experience of more than 23 years. He is a fellow member of the Institute of Chartered Accountants of India (ICAI). He has an in-depth knowledge and strong understanding of various intricacies of Securities Market and Financial Services. It is through his exceptional leadership skills and outstanding commitment towards the company that SMC received several accolades. His efforts have led to the diversification of group business from Stock Broking and Arbitrage to Commodity Broking, IPOs & Mutual Funds distribution, Insurance Products, Merchant Banking, Wealth Management and Advisory Services. He is the chairman of the India European Union Business Promotion Council of ASSOCHAM, co-chairman of the National Council of Capital Markets and a senior member of the management committee of ASSOCHAM. He has also acted as a member of the expert group on behalf of ASSOCHAM Working Group constituted by the Ministry of Corporate Affairs and the Cost Accounting Board. 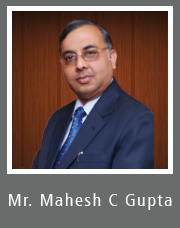 Mr. Mahesh C Gupta is a Promoter of the SMC Group with more than 23 years of widespread experience in Securities Market. He is a fellow member of the Institute of Chartered Accountants of India. His extraordinary leadership skill, astute business acumen and disciplined life style have helped SMC strongly diversify to a fully fledged financial services firm with presence in 500 cities providing Brokerage services in equity, commodity, currency & derivatives, depository services, clearing services, Investment banking, portfolio & wealth management, distribution of Insurance, IPOs, Mutual Funds, Fixed Deposits and other 3rd party products. His principles of honesty, transparency and moral integrity have given SMC strong foundation based on which it has become India's leading financial services provider. 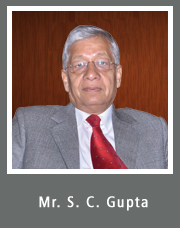 Mr. Gupta has also given his vital contribution in various conferences & seminars on securities market. 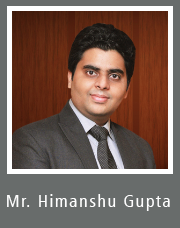 Mr. Himanshu Gupta is a member of The Institute of Chartered Accountants of India since 2010 and also a graduate in B.Com (Hons.) from Delhi University. Mr. Gupta is a young, dynamic and versatile personality and he plays a key and active role in core strategic business decisions of SMC Group. He began his career with SMC in 2011 as Senior Vice-President (operations) and he administers overall operations of the company including finance, accounts & taxation, risk management, surveillance and other back office operations of SMC Group. He leads the expansion of the group's financing business (through its NBFC arm, Moneywise Financial Services Pvt. Ltd.) and development of Bullion and Fixed Income Securities business. He is also a director in SMC Comtrade Limited. Mr. Satish Chandra Gupta is an Independent and Non Executive Director of the Company. He is a Commerce Graduate from Agra University and has done Master of Commerce from Meerut University. Mr. Gupta is a certified associate of Indian Institute of Bankers. He was the Chairman & Managing Director of Punjab National Bank and Indian Overseas Bank. He has over 45 years of experience in banking. 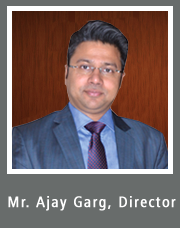 Mr. Ajay Garg is the Fellow Member of the Institute of Chartered Accountants of India (ICAI) having wide and rich experience of more than 18 years in securities and commodities market. His key roles & responsibilities at SMC Group include business development, risk management, technological up-gradation & development and administration of day to day activities at SMC Group. He played vital role in the development of SMC's state-of-art web portal & internet based trading platform. He takes care of the brand building and marketing activities of the entire Group. Mr Garg has been awarded with 'Entrepreneur of the Year' during 4th Entrepreneur India Awards, 2014 organised by Franchise India. 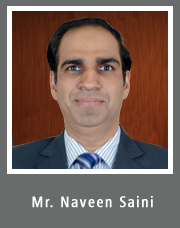 Naveen Saini is Sr. Vice President & NBFC Head and is spearheading the NBFC business of the Group. Naveen Saini joined us from ICICI Bank where he was responsible for managing and growing business verticals like assets / liabilities portfolio , Key Roles & Responsibilities being business development, credit/ risk management, product development and compliance management for the departments. He has an extensive work experience of 16 years in banking sector in India and Abroad. Naveen Saini is B.Com (Hons.) from Punjab University,6th Rank Holder M.B.A from Nagpur University, CAIIB and NCMP Level 3 Certified. 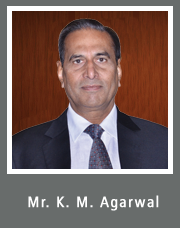 Mr. Kundan Mal Agarwal is an Independent and Non Executive Director of the Company. He is a fellow member of the Institute of Chartered Accountants of India and has over 41 years of experience in taxation and corporate matters, including over 24 years experience in securities market. 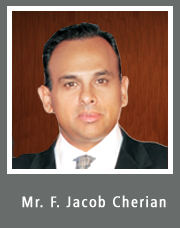 Mr. Finney Jacob Cherian serves as a Non-Executive Director of SMC Global Securities Ltd. Mr. Cherian has wide experience in financial service. He holds Bachelor of arts in Accounting & Information Systems, Queens College of CUNY and MBA in International Finance from st. John's University.